Nowadays the morning television schedules for the UK terrestrial TV channels are awash with magazine style shows, and programmes about buying or selling houses or antiques, or at least that’s what it seems to be whenever I turn the TV on if I happen to be at home during a weekday. Back in the 1980’s though, watching daytime TV outside of the summer holidays meant you might actually learn something useful, rather than the value of some old plate or a recipe for something you’ll never actually get round to making. 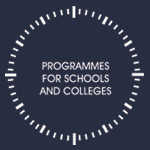 Back then, daytime TV meant Programmes for Schools and Colleges. ITV and BBC2 both showed a range of educational TV programmes for all ages, from simple English and Mathematics lessons for the primary schools right up to programmes detailing Science topics for secondary schools. One thing all these shows had in common was that before they started there was a countdown clock on screen. This was a series of dots or dashes marking out a clock face, which would disappear one by one until there were none left, and the next programme would start. Obviously the idea of these programmes was for schools around the country to videotape them to show their pupils at a time suitable to the teachers. When you were at school you always knew you were going to be lucky enough to watch something when the schools big TV was wheeled into the classroom. Every school in the country must have been issued with one of these TV sets – a big wooden surrounded TV with two doors that closed in front of the screen, all sat upon a massive metal stand with castors on. Roland Rat Superstar, self proclaimed saviour of TVam, as well as self proclaimed superstar for that matter, first hit our TV screens in 1983. 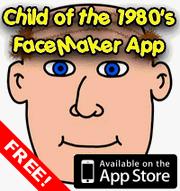 He was brought in to introduce the five minute cartoon breaks that TVam had at certain times every morning. My favourite of these was Superchicken, but that’s potentially something for another time. Anne Diamond and Nick Owen would hand over to Roland from their comfy sofa to Roland and his Shedvision. This was a motif that was set to continue with Roland Rat. Whilst he pretended to have all the trimmings of a superstar, everything around him was quite obviously not all that wonderful, as broadcasting from a shed is a good example of. Roland would come on screen, usually insult Anne and Nick in some way, and then the cartoon would start. Roland was soon joined by fellow puppet Kevin the Gerbil, a slightly effeminate rodent with a penchant for anything pink. 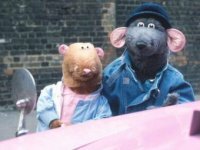 This was particularly irritating to Roland when he instructed Kevin to get a car for him, which ended up being an old Ford Zodiac sprayed pink, with Ratmobile written along the side. Another associate who arrived slightly later was Errol the Hamster, who was in charge of anything technical to do with sound or video. It was Errol’s job to start the cartoons running, which was cued by Roland shouting “Errol! Run VT“. Errol was a Welsh hamster, which meant that Roland usually poked fun of him with jokes about leeks. We’re pleased to announce a new feature on the site starting today which we hope you will all enjoy and find interesting. Every Saturday there will be a new “Saturday Survey”, based around a particular topic of relevance to the 1980’s. To take part, simply select your answer to the question from those provided, then click the Vote button, and you’ll be presented with a graph showing the most popular selected option. You can only vote for one option, and once you’ve voted you won’t be able to vote again. The usual commenting system is still in place, so if you want to comment further on your vote, or perhaps voice your opinion on a missing voting option, then feel free! Who was your favourite Scooby Doo character? Who was your favourite character in Scooby Doo? Texan bars consisted of a huge slab of tasty caramel wrapped in chocolate. 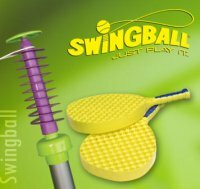 They were extremely popular in the 1970’s, and I’m fairly certain they were still around in the 1980’s. They were very briefly bought back for a couple of months in 2005, but sadly this was a real limited edition offer. The picture illustrating this post is from one of the rerelease bars, but the wrapper is just as I remember it (minus the Blast from the Past logo anyway). The caramel used in Texans could be incredibly hard to bite into, and was incredibly chewy once you did manage to lever off a piece with your teeth. Indeed, the advertising slogan for the sweet was “sure is a mighty chew“. The advertising was based around cowboys, and featured an animated Clint Eastwood style character defending the wild west with the help of his trusty chocolate bar. I guess the image of cowboys chewing tobacco must have been the reason why the western theme was used for Texans. I believe another slogan used was “a man’s gotta chew what a man’s gotta chew“, paraphrasing John Wayne somewhat, although I may be wrong and that particular slogan was actually used by Toffos, as they also used a western theme back then. I also seem to recall that there was a chocolate flavoured caramel version of Texan as well, which came in a brown wrapper rather than yellow. It’s possible that this version may have been the same flavour caramel, but with dark chocolate, but I’m pretty sure it was chocolate caramel. 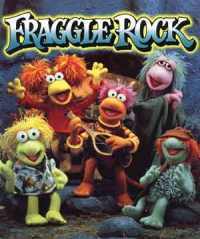 The Fraggles were a group of funny little care-free creatures that lived in caves and were generally always ready to party with a song and a dance. The programme was made by Jim Henson, creator of the Muppets, and the Fraggles were of course made out of the same sort of spongey looking material that was used for the Muppets themselves, with a bit of fur added in for good measure. Whilst there were a great many Fraggles, the stories generally revolved around five in particular. Gobo was, for want of a better word, the leader, being a very practical Fraggle, though one with a taste for exploring. Gobo’s best friend was Wembley, a younger more excitable Fraggle who was very indecisive, mainly because he didn’t like to let anybody down. Mokey was a bit of a hippy, female Fraggle, who had a very calming influence. Her friend Red was the exact opposite, and could be described as the closest the Fraggles had to a stuntwoman! Finally there was Boober, who’s biggest interest was doing the laundry, and was guaranteed to always find the down side in everything. The Fraggles shared their caves with the Doozers, little green characters who were constantly busy building structures. One of the reasons they were kept so busy is because the structures were made out of little crystal rods, which the Fraggles found very tasty and would often break off a length and eat.